Do you love lace or does it intimidate you? Lace is a technique that creates a pattern of intentional, open holes in your fabric. Traditionally associated with doilies and wedding dresses, today lacework can be found on all kinds of garments and accessories. If you knit (or crochet) you can create lace, and we want to share several projects with you that show how wonderful lace can look in all weights of Manos del Uruguay yarns! Here we're starting with our finer gauge yarns. 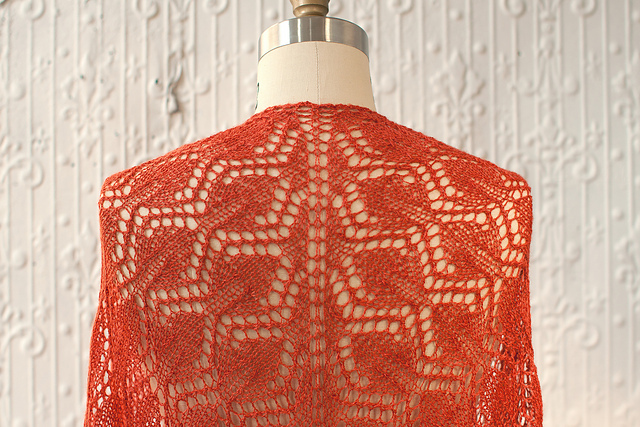 Manos Lace is a traditional choice, and is what's called for in the Ocaso Shawl pattern. In the center, girlinthesea's Skywalker Shawl is beautiful in Fino. On the right is dyannleslie's Holden Shawlette in Alegria. Wouldn't you love to wrap any of these around your shoulders? Lace is not limited to shawls. The stitch pattern can be all-over lace or just a panel. It is a detail that will set apart your project from the rest! 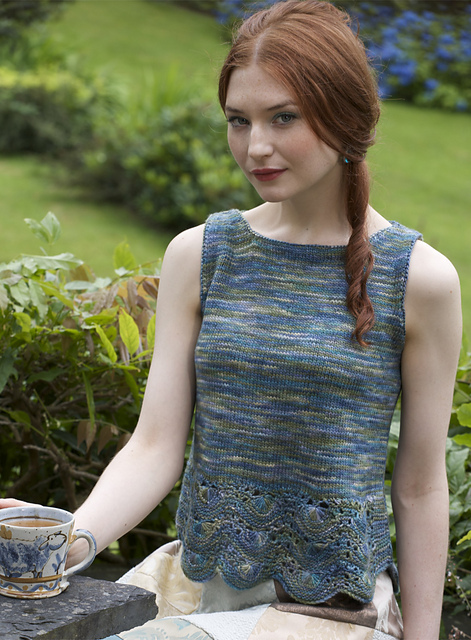 Serena is a wonderful choice for spring and summer garments; at above left is Cather, a crochet top, and in the center is Algorta, which is knit. Peridot, knit with Silk Blend, would be beautiful in a solid or hand-painted colorway. Do not hesitate to use a heavier gauge yarn with lace stitches! You will find that this combination can work, as craftivore notes on her Eyelet Front Vest knit with Wool Clasica, "[This is] a quick bulky knit that looks elegant not bulky." Maxima makes a great choice for a soft, cuddly sweater, as shown here in Fairfieldknit1's February Lady Sweater. One more great item in which to incorporate lace stitches is a blanket. Awrobertson's Shale Baby Blanket, knit with Maxima, is a very impressive piece, sure to be a treasured heirloom! We hope these projects and patterns have inspired you to give lace a chance in your next project! We encourage you to show off your shawls and more in our Ravelry group or on our Facebook page!